The temple was built in the ancient city of Korkyra which in the modern day is a suburb of Garitsa. It is exquisitely the first to be constructed with the stone in Doric style. The temple was as large as 49 m and as wide as 23.46 m. Built-in 580 BC, it is regarded as the biggest temple of its times. The metope of the temple was adorned as the residuum of reliefs Achilles and Memnon were found in the temple’s ancient ruins. The authenticity of the temple has made it a milestone of Ancient Greek architecture. Not only this but the temple also falls among the 150 masterpieces of the great Western Architecture. The Corfu temple’s construction is said to have influenced the design of an old sanctuary structure found at St. Omobono in Italy. The front and back of the temple comprised of two pediments, out of which only the western one continues to survive in good condition, while the eastern pediment rests in fragments. The pediments were identical, decorated with mythical figures and sculpted in high relief. This temple was probably the first known example of a decorated pediment in Greece. Furthermore, according to the New York Times, the pediments have been described as the “finest example of Archaic temple sculpture extant”. One of the most influential buildings in the Greek history, the Parthenon stands atop Acropolis, which presently is a citadel. 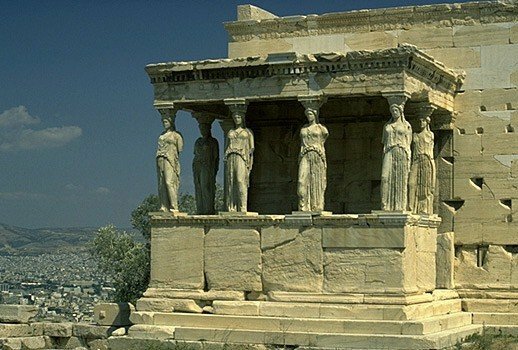 It is a dedicated piece of architecture to the Goddess of Wisdom, Athena whom the Athens considered as their patron. To Athens who built this, the Parthenon was initially seen as their celebration and thanksgiving to the gods for their Hellenic victory over the Persians. Moreover, it is an enduring symbol of Athenian democracy, Ancient Greece, and Western Civilization. 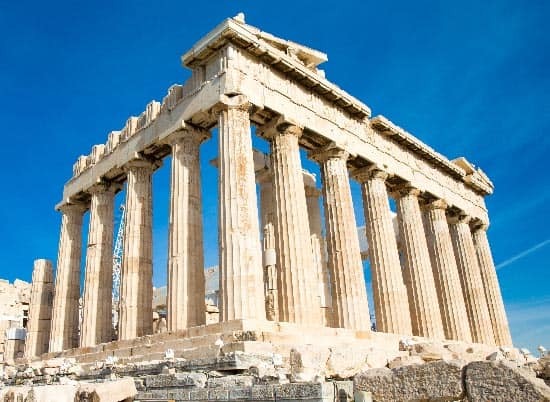 The construction of this building began in 447 BC just when the Athenian Empire was enjoying its powerful stature. Considered as the most significant surviving building of ancient Greece, the Parthenon is said to be the pinnacle of the Doric order. The sculptures and designing it has, belong to high ends of Greek Art. Moreover, the Parthenon was the replacement of pre-Parthenon, an older temple of Athena which was possibly destroyed in 480 BC during the Persian invasion. 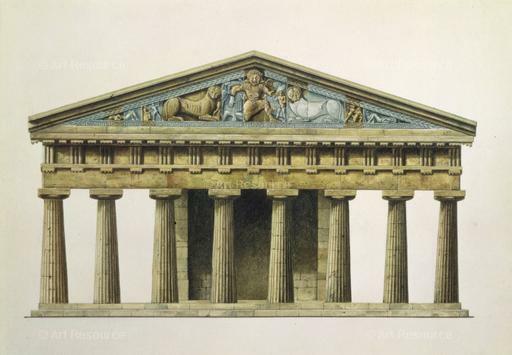 Furthermore, likewise other Greek temples, it also served the purpose of the city treasury. From a church dedicated to Virgin Mary in the final decade of the 6th century to a mosque after the Ottoman conquest in the early 1460s, the Parthenon has undergone many roles. 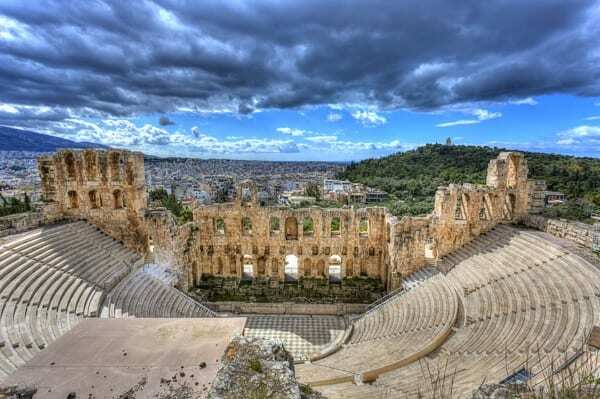 Since the ancient times, the theatre has been a significant part of Greek culture. The Odeon of Herodes Atticus is a stone theatre structure settled on the southwest slope of the Acropolis in Athens, Greece. Athenian magnate Herodes Atticus built the structure in remembrance of his loving wife, Aspasia Annia Regilla. In the first place, it was a steep-sloped theatre which had a three-storeyed front wall and a wooden roof made of valuable, cedar of Lebanon timber. The theatre was a host to huge music concerts and was massive enough to have a capacity of 5,000. The theatre regained its essence in the 1950s when the stage and audience stands were reinstated with the help of Pentelic marble. The place has been a venue for a large variety of Greek as well as International performances. The Ancient Archaic Greek temple, dedicated to the Queen of Greek Goddess, Hera was built in 590 BC. The temple initially is believed to be constructed with wood which later was replaced by stone. One of the oldest temples in Greece the temple was solely dedicated to Hera with another temple of Zeus being built nearby. Built following the aesthetics of Doric Architecture the temple had 16 columns. The beautiful house of Hera was destroyed by an earthquake in four century CE. Moreover, during excavation process on the site of the temple, a marble head of Hera was discovered along with the statue of Hermes which was created by sculptor Praxiteles. The statue now is hosted in the archaeological museum of Olympia. 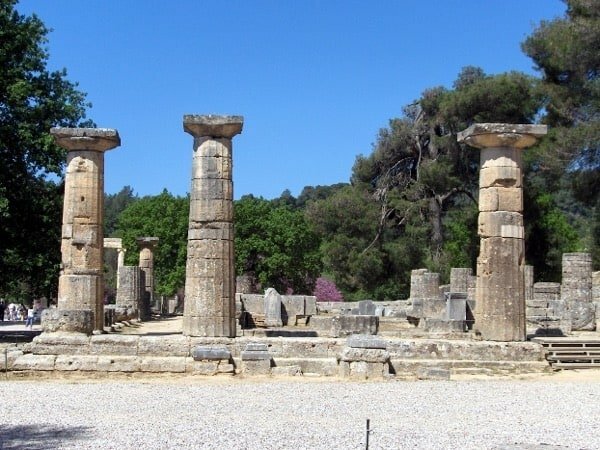 Furthermore, it is at the altar of the Temple of Hera that the Olympic flame is lit and taken to all parts of the world where the Olympic Games are held. The ruins have become a way to lit the torch for the world’s largest games. The temple, finding itself close to the stadium, was indeed protected by a terrace wall. The historians say that the original temple possibly had a room and a corridor, to which other things were added eventually. Under the Roman reign, the temple was made into a sort of museum which had precious treasures inside it. While the lower part of it was made of limestone, the upper part constituted of mud brick. Terracotta tiles were also used. The entire structure then consisted of three rooms comprising the statues of Zeus and Hera. The temple was built in the historic city of Korkyra which in the modern times is a part of Garista. The architecture is believed to be decorated according to the remnants of Achilles and Memnon that were a part of the excavated ancient ruins. A milestone in ancient Greek Architecture, the temple is listed among the 150 great works of western Architecture. The architecture of the temple is believed to pay an inspirational foundation of the sanctuary structure that was found at St. Omobono of Italy. The whole temple featured 2 pediments out of which the western one is in a pretty good condition as compared to the fragmented eastern part. These were decorated with mythical figures. Also, it is the first known showpiece of a decorated pediment in the whole of the Greece. With due regards to acoustics and aesthetics, the ancient theatre is believed to be the perfect theatre of all the times. According to the Pausanias, Polykleitos the Younger is the person behind the construction of the beautiful and seamlessly symmetrical theatre. The theatre was large enough to provide seating for 13,000 to 14,000 people. It not only hosted the singing, music and dramatic games but also included the worship of Asclepius.The place was also used to heal patients since the people of ancient times believed that witnessing the staged drama had a positive effect on both physical and mental health. During the Roman times, like other greek theatres, it did not undergo any modifications. The heritage monument, even today retains the helenistic structure of theatre. It has an auditorium, stage building, and orchestra. 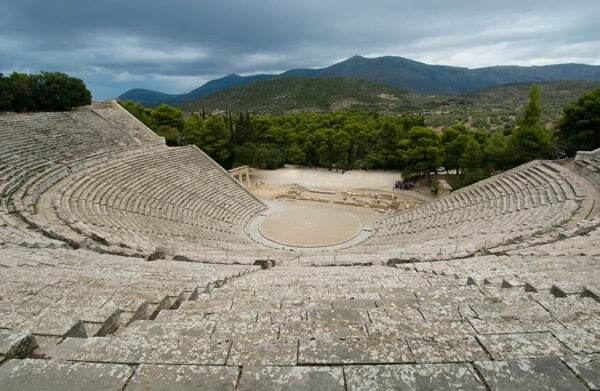 In 1955, an annual event for the presentation of ancient drama was established with the name of Epidaurus Festival. Today, the festival takes place during the summer months every year. 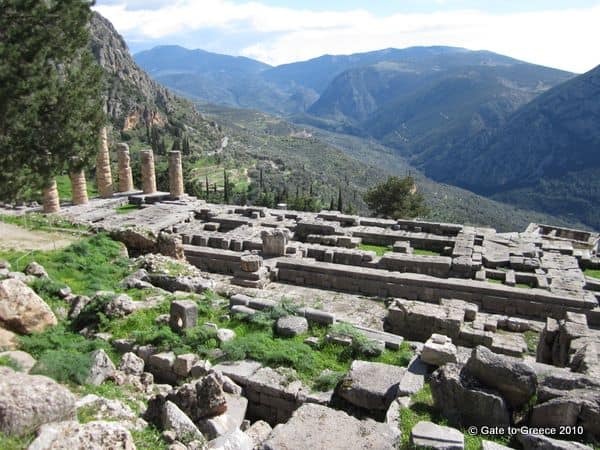 In the heydey of Delphi, the temple of Apollo is the most prominent structure to be built. The ruins of the temple that are visible today date back to the 4th century BC. It is an imposing structure of Doric order whose existence has undergone turbulent and numerous incarnations before it to be settled for a ruinous state as what it stands for today. The temple of Apollo at Delphi was first to built by two prominent architects Trophonios and Agamedes during 7th century BC. 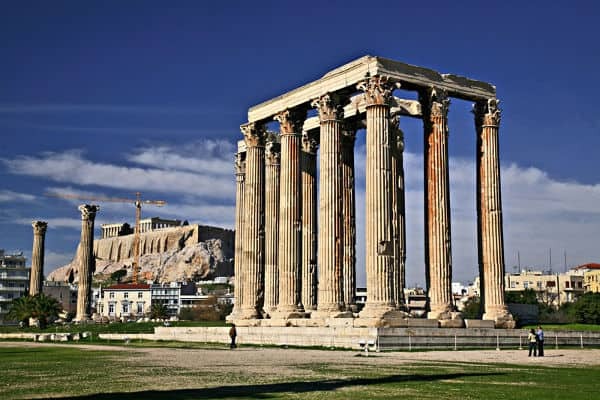 It was then caught on fire during the 6th century after which it was rebuilt and given the name of “Temple of Alcmeonidae” in admiration of the noble Athenian family that took onto its reconstruction with funds from all over Greece and different emperors. The temple had six columns in the front and 15 at the flanks. Unfortunately, this temple was again destroyed in 373 B.C. by an earthquake and in 330 BC was rebuilt for the third time. Spintharos, Xenodoros, and Agathon, the architects from Corinth outlooked its construction. The beautiful sculptures that embellish its pediment were the oeuvre of Athenian sculptors Praxis and Androsthenes. Though very little is own about the inside arrangements, the temple’s foundations surviving today include several porous stone and limestone made Doric columns. Considered as a gift to Athens in return for the education that Attalos received there, the Stoa was built by King Attalos II of Pergamon. He ruled between 159 BC and 138 BC during which he constructed an architectural marvel in Agora of Athens. Belonging to the Hellenistic age, the Stoa of Attalos was more elaborate and larger in comparison to the earlier buildings of ancient Athens. Measuring 115 by 20 meters (377 by 66 ft), it was built from Pentelic marble and limestone. The building has been a skillful work of various architectural orders. The Doric order, which undoubtedly dominated the Greek architecture, was used on the ground floor for the exterior colonnade with combined with Ionic for the inner part of the colonnade.The exterior colonnade on the first floor was Ionic and the interior Pergamene. Each story comprised of 21 rooms lining the western wall and two aisles. Stairways were leading up to the second story at each end of the stoa. Destroyed by the Heruli in 267, its remains became a fortification wall. Furthermore, it was no more a ruin as, during 1952-1956, the Stoa of Attalos was fully reconstructed. 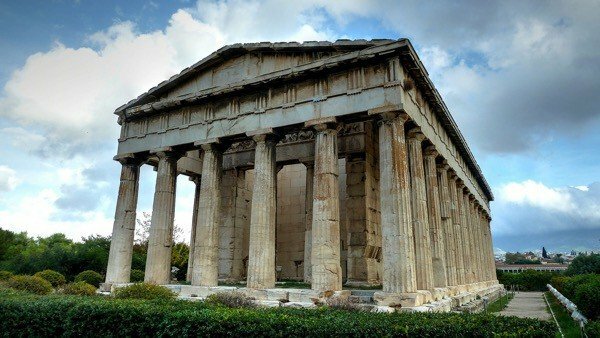 A work of Doric and classical architecture, the temple of Hephaestus is a well-preserved ancient Greek temple. Surpassing the ravages of time, it stands the way it was built 415 BC. Made two years before the Parthenon, the temple overlooks the city of Agora. Dedicated to the God of craftsmanship, metal-working, and fire, Hephaestus, the temple was also called Theseum due to a belief that it was a heroic shrine dedicated to Theseus.The architectural sculpture is made up of both Parian and Pentellic marble. The dimension of temple from north to south is 13.708 m and east to west is 31.776 m. It has 6 columns lying from east to west which is also the shorter side and 13 columns from north to south which is the longer side. also, the four columns at the corner are counted twice. The temple has undergone different roles. From the 7th century to the year 1834, the temple served as the Greek Orthodox Church of St. George Akamas. In the early 19th century, this temple-turned-church changed its role to a burial place for many Protestants and those who gave up their lives during the Greek War of Independence in 1821. 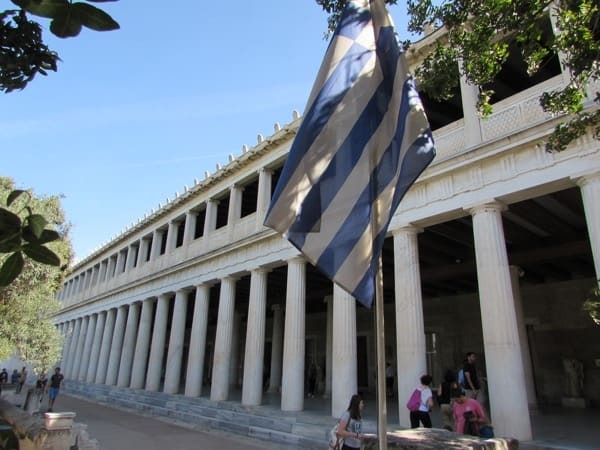 In the 1930s it became a museum and since then has been restored to its elegant Greek appearance. The temple was built in 421 and 406 BCE. Mnesicles was a great architect under whom its construction began. The temple got its name from a shrine dedicated to the Greek hero Erichthonius. Phidias, the person who sculpted the Parthenon was also the sculptor and mason of this great structure. He was employed by Pericles for the making of both of these architectural masterpieces. Legends suggest that it might have been built in honour of the king Erechtheus, who was believed to have been buried nearby. He was also mentioned in Homer’s Iliad as a great king and ruler of Athens. The ancient temple is said to be a replacement of Peisistratid temple which was situated in Athena Polis and was destroyed in 480 BC by the Persians . The temple located on a slope was built by the marble taken from Mt. Pentelikon and black marble from Eleusis. It had ostentatiously carved doorways and beautifully decorated columns. The above-listed wonders of Greek Architecture have ruled the ancient world of Greece. Their wondrous beauty and compelling history can be seen by the visitors even today. Greeks were considered as the cradle of civilization having art as their silver spoon. Though most of the historic buildings have fallen into ruins, their remains continue to speak the story of their great importance.